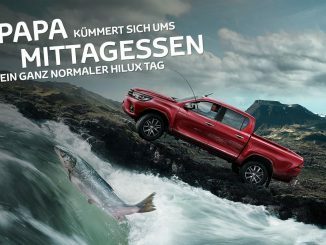 Brussels, Belgium – The legendary Toyota Hilux, already renowned for its ability to overcome extreme challenges, started a new chapter in the history of polar exploration, covering over 70,000 km across one of the coldest and most hostile environments in the world. The highlight of the Antarctic programme was a double trans-continental crossing, organised by Extreme World Races. 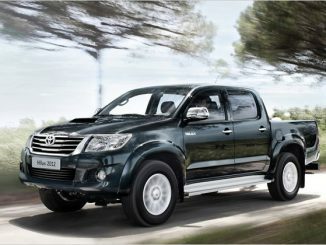 A new world record was set by three Hilux vehicles, including two 6×6 versions, each covering 9,500 km. Totalling nearly 30,000 km this makes it the longest Antarctic journey ever. To face Antarctica’s uniquely extreme driving conditions, with temperatures as low as -50°C, terrain altitudes of over 3,400 m and the most brutal driving environment imaginable, all vehicles were prepared by Icelandic 4×4 conversion specialists Arctic Trucks. Necessary modifications included the integration of a crane to lift heavy equipment, the use of Jet A-1 fuel to cope with the extreme cold, a 280-litre fuel tank (800-litres for 6×6 vehicles), revised suspension and drivetrain, crawler gears and extra large tyres with pressures as low as 2-3 psi (regular Hilux tyres have a pressure of 29 psi) giving a tyre surface area about 17 times larger than those found on standard tyres. 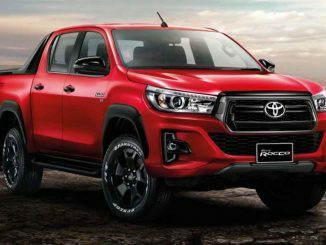 It is a testament to the Hilux’s legendary Quality Durability and Reliability (QDR) that its 3.0-litre D-4D diesel engine and the transmission remain entirely unchanged for the expeditions. The Hilux performed outstandingly well throughout its 70,000 km challenge without technical failures.